This is an attachment mounting template with an adjustable 15° cant ability. 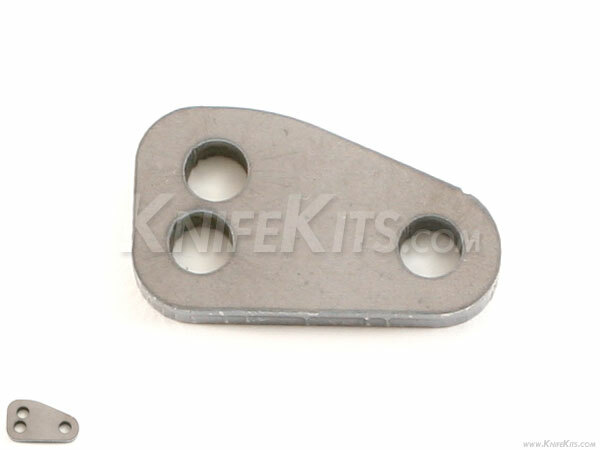 It is designed to help create the hole mounting/drilling pattern for a Flush Mount Clip attachment. It was designed by Dustin Montgomery and made in the USA from 3/16 inch steel plate. This template will make a quick task of professionally installing mounting hardware on your finished work. If you use Flush Mount Clips in your holster, sheath or accessory design (this model also fits FOMI Clips), or want to simplify the task of marking clean, professional mounting holes, this template is what you need.